As a heavy female runner, choosing running shoes is a difficult task. In this post, I’ll review the top running shoes for all your jogging, walking and general workout needs. To reduce strain on your feet and joints, I reviewed the below footwear as the Best Running Shoes For Heavy Female Runners. They’ll prevent running injuries, shin splints, and sore knees. Definitely, W990V4 Run Shoe cannot win even a village beauty contest but have proven great for heavy female runners compared to other New Balance models such as 927, 926, 925, & 928. Its D-width provides adequate space to allow orthotic inserts. It offers stability or over-pronation support that will allow you to run comfortably on the road surfaces. I must say that it’s great for flats, the gym, and road running. If you have aches that collapse inwardly(over-pronate) the shoe will provide a firm foam on the lower side for better support. I trust that New Balance 990 v4 would be great for the elderly or senior citizens that have stability challenges and thus they’ll prevent injuries. It has, an approximately, 12 mm drop. On sizing and fitting, I’d ask you to order a half size up for the shoe. Further, with the midsole’s flexibility being lower, the shoe drop might feel higher. Therefore, the shoe will have additional protection by absorbing shock from your large weight for overweight women sprinters. The shoe’s sole offer amazing traction that will allow the heavy female runners top easily wade through dry and wet surfaces. If you’re trying to lose weight, the NB W990V4 will offer you top stability and durability. It has a great design (simple, light and flexible) that you’ll find great for all ages. With its thick padding, I note that you’d need some thin socks to go with the shoe. It has a thin upper that provides a lighter running experience for overweight female runners. Its leather is created as only an overlay of the shoe upper and thus makes it more breathable. + Pros: I love that the solid rubber outsole and removable foam insole makes the shoe excellent even for older but overweight women. – Cons: Looks bulky on the feet, some women don’t love the gray color scheme. Some years back, I had worn the Brooks Ravenna 7. My initial thoughts on Ravenna 9 was that it has a sleek profile and great color scheme. I thought it’s a cross between a stability shoe and a race shoe. BrooksRunning.com states that Brooks Ravenna 9 is a stability type of shoe that is lightweight, supportive, and springy and thus great for overweight women. It’ll create a great sensation on your underfoot when you’re running. Its diagonal roll-bar will give support for the mid-foot transition (heel to toe). 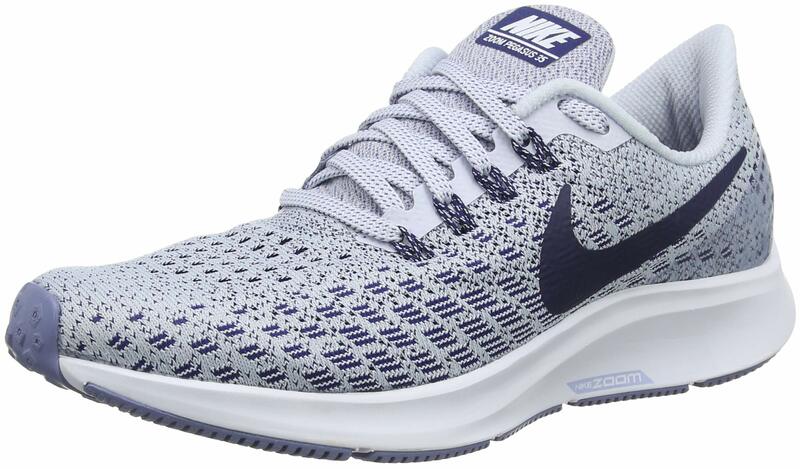 If you have mild over-pronation, this shoe will give you stability because it has a diagonal roll-bar. You’ll love that Ravenna 9 comes in 3 color option. But I love the yellow Nightlife color. Ravenna 9’s crash pad has top shock-absorbing capability whose function is enhanced by the shoe’s 10-millimeter drop. Its midsole is highly cushioned (full-length). Also, the brook’s model comes with a stiff shank that reduces torsion or twisting of your shoe and foot and a medial post to make foot transitions safer. Thus, if you need a running shoe that’s great for daily tempo runs and training runs, look no further. Pegasus 35 has the great responsiveness and cushioning that’s awesome for heavy female runners. 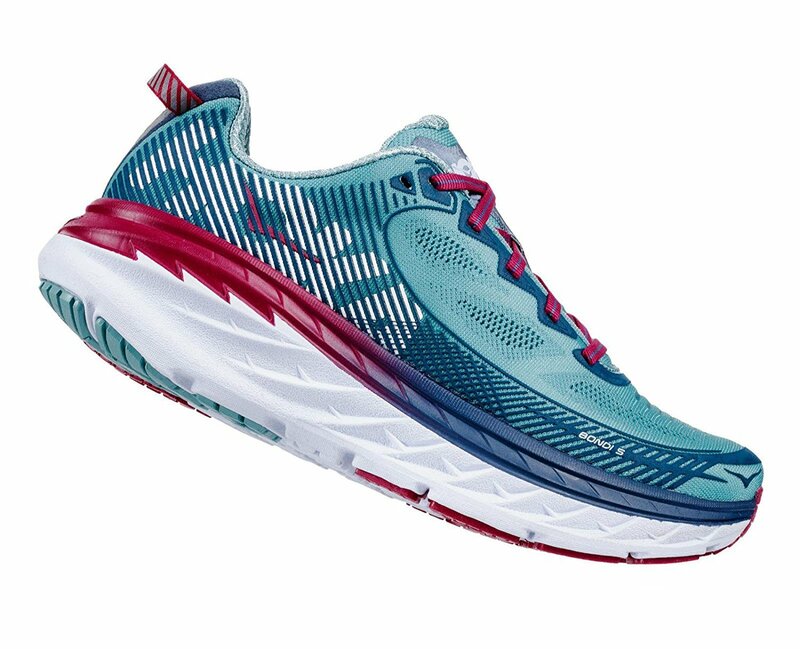 In addition, Pegasus 35 has shorter lugs at the shoe’s front and thus allows better toe off to aid the traction when the runner is at the front foot. I noted that the Pegasus 35 has a heel collar and streamlined design to allow space for Achilles and keeping the snug fit – even with its 10mm toe drop. You’ll get a smoother feel with the shoe’s toe off transition and thus get a natural roll. Pegasus 35 has an updated sole unit to provide heavy women runners with a smoother ride, which is complemented by the full-length air zoom. The outsole has higher flexibility providing a propulsion feeling. One Bondi 5 is a running shoe with extra cushioning. Its OrthoLite sockline (Molded ), padded tongue, and open-engineered mesh ensure you get high support and breathability. The model has a wider toe box to give you top stability and comfort. For the Bondi 5, you’ll get a 4-millimeter drop (heel to toe) and a cushion of 31-millimeters. Its heel bevel is moderate and thus allows smoother heel transition. The model is recommended by chiropractors and Orthopedic surgeons for arthritis and plantar fasciitis. It’s made for women who running on hard surfaces as it gives a great cushion, top balance and smooth races due to the thick EVA midsoles and heel bevel (moderate). + Pros: Lightweight, Attractive, Maximum cushioning, Arch Support. – Cons: Not suitable for cross training, Tounge slippage. Like me, most heavy female runners have flat feet. This is caused by excessive force landing on their feet. Therefore, you’ll need a shoe great for flat feet to offer the right support and correct the flat feet. To shield yourself from excessive resistance arising from the large body weight, you’ll need running shoes that have top cushioning. Therefore, analyze your leg’s skeleton structure and your running style to determine if you’ll need additional cushioning at the forefoot or heel.